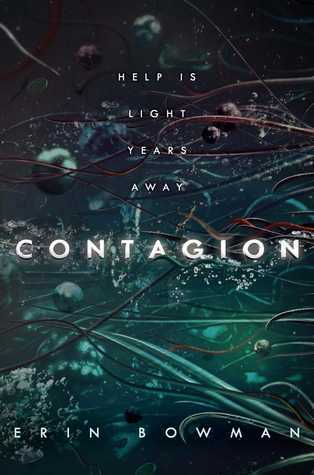 I've been slowly getting back into YA lately and Contagion was a book I was very excited to check out. I'm not usually one for science-fiction books, but the summary for Contagion sounded so intriguing. Plus, it's written by Erin Bowman, whose books I've very much enjoyed in the past. Dark, atmospheric and eerie, Contagion had me on the edge of my seat. I was drawn into this creepy and mysterious world almost instantly. When a drilling operation on a mysterious planet goes awry, a team from a nearby planet is sent to investigate the matter. On arrival, they discover dead bodies upon dead bodies that seem to hold sinister secrets. Now, does that not make you want to read the book ASAP? Contagion was a fast-paced book that never really slowed down. There were so many revelations made about Black Quarry that had me freaking out. Then, the space zombies showed up and I was shaken to the core. Erin Bowman didn't hold back when it came to the body count in Contagion and that had me nervous and at the edge of my seat all throughout. The world building in this book was also stellar. Besides the zombies and the creepy disease, there were also nefarious corporate politics at play here. She truly amped up the creepy atmosphere here. It was all very fascinating and with the book ended, I have no doubts that Bowman has even more for readers. The biggest downfall of Contagion, however, was its number of POVs. I'm personally not a fan of multiple-POVs as I often find it hard to connect to any of the characters, and after some time the characters all start to blend together for me. I faced a bit of that here with Contagion. Though I thought each and every one of the main cast was interesting, I didn't feel like we had the chance to get to know them all that well. In my opinion, had Bowman chosen to focus on Thea and Nova, two of the teen characters, this would have been a stronger story. That being said, I thought each of the crew brought something to the story and though they were not all very likable - seriously, there were some stubborn and arrogant mules in this book - I was invested in what happened to them. While not without its flaws, I thought Contagion was a good start to a new series. I'm eager to learn more about this world and the revelations made about some of the characters only have me more interested in the sequel. I can't wait! What was your favorite YA book this year that I shouldn't miss out on?